B 90 R Adv Dose Bp Pack 11613110 https://www.kaercher.com/tn/professional/floor-scrubbers-scrubber-dryers/scrubber-driers/ride-on-scrubber-driers/b-90-r-adv-Dose-bp-pack-11613110.html The B 90 R Adv Bp Pack battery-powered ride-on scrubber dryer is compact, versatile, has an extended tank capacity and variable working widths (55-75 cm) and features FACT. The Advance model features a control panel for displaying all operating states and adjusting the brush speed and turbine output to suit floor conditions. Features 4 contact pressure settings. Integrated detergent dosing system (Dose) for precise detergent dosage. 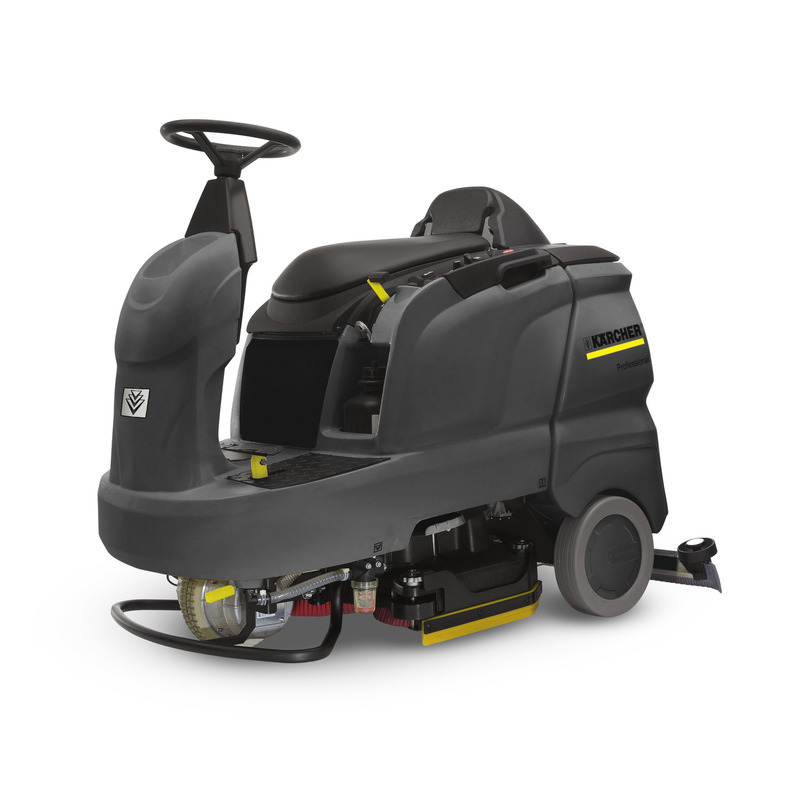 The B 90 R Adv Bp Pack battery-powered ride-on scrubber dryer is compact, versatile, has an extended tank capacity and variable working widths (55-75 cm) and features FACT. The Advance model features a control panel for displaying all operating states and adjusting the brush speed and turbine output to suit floor conditions. Features 4 contact pressure settings. Integrated detergent dosing system (Dose) for precise detergent dosage. The B 90 R Adv Dose Bp Pack ride-on scrubber dryer with maintenance-free battery and on-board charger features the Dose dosing systems for low detergent consumption. Detergent dosing can be adjusted to suit the degree of soiling. Exact dosing takes place between 0.5 and 3% (in 0.5% steps). The machine also offers Flexible Application Control Technology (FACT) for optimal adjustment of the brush speed. This machine can be used with roller or disc brush heads with different working widths (55, 65 und 75 cm). For maximum flexibility. The brush drive features a star-wheel mechanism for a long brush life. With a turning circle of only 1.6 m, this machine is very flexible and offers excellent manoeuvrability. This machine also features an extended tank capacity and is easy to fill with fresh water. Compact for easy storage, loading and transport. Openings in the battery compartment ensure adequate ventilation also during long periods of use. An additional flat pleated filter protects the turbine against corrosion. In brief: The manoeuvrable alternative to any large walk-behind machine!